Mashonaland Central is a province of Zimbabwe. 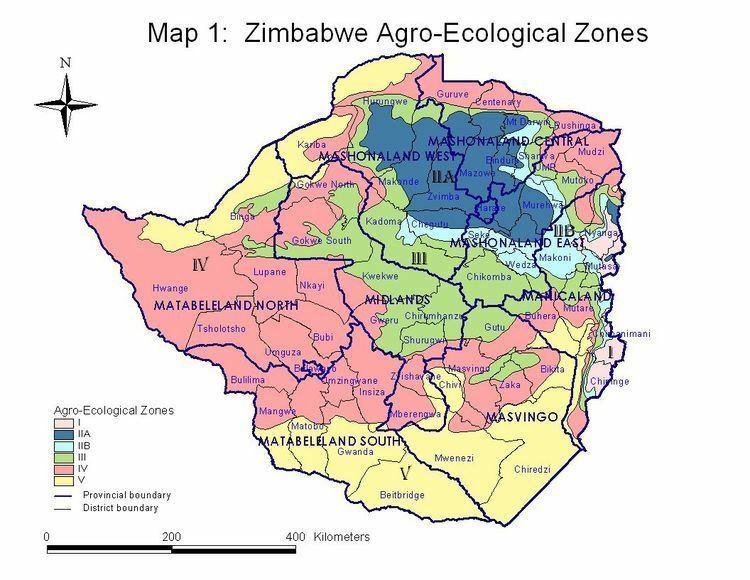 It has an area of 28,347 km² and a population of 1,152,520 (2012 census), representing about 8.5% of the total Zimbabwe population. This is usually eaten as lunch or dinner, usually with sides such as gravy, vegetables (spinach, chomolia, spring greens/collard greens), beans and meat that has been stewed, grilled, roasted or sundried. Sadza is also commonly eaten with curdled milk (sour milk), commonly known as lacto (mukaka wakakora), or dried Tanganyika sardine, known locally as kapenta or matemba. Bota is a thinner porridge, cooked without the additional cornmeal and usually flavoured with peanut butter, milk, butter, or jam. Bota is usually eaten for breakfast. Afrikaner recipes are popular though they are a small group (10%) within the white minority group. Biltong, a type of jerky, is a popular snack, prepared by hanging bits of spiced raw meat to dry in the shade. Boerewors is served with sadza. It is a long sausage, often well-spiced, composed of beef rather than pork, and barbecued. Since Zimbabwe was a British colony, some people there have adopted some colonial-era English eating habits. For example, most people will have porridge in the morning, as well as 10 oclock tea (midday tea). They will have lunch, often leftovers from the night before, freshly cooked sadza, or sandwiches (which is more common in the cities). After lunch, there is usually 4 oclock tea that is served before dinner. It is not uncommon for tea to be had after dinner. Rice, pasta, and potato based foods (french fries and mashed potato) also make up part of Zimbabwean cuisine. A local favourite is rice cooked with peanut butter which is taken with thick gravy, mixed vegetables and meat. A potpourri of peanuts known as nzungu, boiled and sundried maize, black-eyed peas known as nyemba, bambara groundnut known as nyimo makes a traditional dish called mutakura. Mutakura can also be the above ingredients cooked individually. One can also find local snacks such as maputi (roasted/popped maize kernels similar to popcorn), roasted and salted peanuts, sugar cane, sweet potato, pumpkin, indigenous fruit like horned melon, gaka, adansonia, mawuyu, uapaca kirkiana, Sugar plum/Mazhanje, and many others.